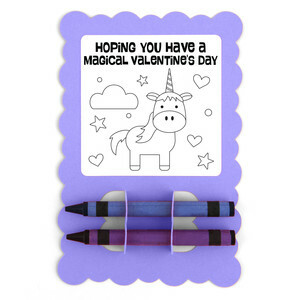 This adorable Valentine Card features a double crayon holder and a print + cut coloring page. These make great valentine's for a student or teacher to give this Valentine's Day. Finished size is 4x6.